I am writing this blog to inform people of the potential side effects of anxiety medications with people with neurological conditions like Parkinson’s and Alzheimer’s. I am not writing this to tell people not to take anxiety medications. I am not a doctor. I want doctors to be informed of this potential side effect as well as the people, families and caregivers who are taking care of someone with the condition. 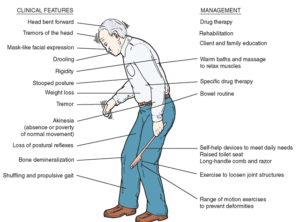 I have been finding medication to have some intense side effects affecting a person’s ability to move. I have been training people of all ages for 23 years. Over the past 8 years I have been training many seniors, a number of them having Parkinson’s and Alzheimer’s. On July 4th, 2007 I trained a man who had Parkinson’s until he died this year on February 4th, 2015. 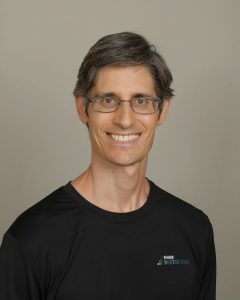 Before you start reading this article, I want to express that many people who have Parkinson’s have rigidity in their muscles, some quite extensively. I am emphasizing that a person who took an anxiety medication had a long term effect after taking it for 6 months 3 times a day experienced an extreme amount of rigidity, which she wasn’t experiencing prior to taking it, leading to losing her ability to stand on her own or walk. I have been training a 69 year old lady who has a complication of Alzheimer’s called a Parkinson’s atypical syndrome called corticobasal degeneration along with her other complication of posterior cortical atrophy. Her husband called me up and said that she was not able to stand on her own and walk. The only way she was able to get up was with a sit to stand machine. She was walking and standing with no problem. He said the only thing she was taking was an anti-anxiety medication which was Ativan. I told him a story about a man I worked with who had Parkinson’s who was having anxiety and having problems sleeping at night. His son was taking Xanax (an anxiety medication) and suggested his dad take it as well. I remember the day he went to the doctor to get a prescription for it. At that time he was 89 years old and had some rigidity which I was able to loosen up and was able to get him to walk with assistance once I got him warmed up. I arrived at his house to work with him going through the motions to walk with him. I tried to get him to stand up which I was barely able to do and walking was out of the question. The only thing that was different was that he took a Xanax the night before. His muscles just went limp like jello. It was crazy and scary. Xanax is a skeletal muscle relaxant. When I got to my new client’s house, the 69 year old lady her muscles were extremely rigid. To give you a picture of how rigid she was, when I tried to straighten her arm out it wouldn’t. I had to go through a significant amount of stretching to get the arm to fully extend. Her chest muscles were extremely rigid. Her arms were rotated in. I had to stretch her chest muscle out as well as her shoulders so she could raise her arms up and down. When I tried to bring her knees in and out of her chest, her legs felt like they were getting caught; meaning I would try to extend them and her leg would pull back in and flex. They wouldn’t fully extend. It took a lot of work to get her to stretch her hamstrings and her thighs. When I lied her on her sidesThen I tried to sit her up and her spinal muscles were extremely rigid. I had to go through a significant amount of stretching with her to get her to sit up. Her feet were extremely tight in a plantar flexed position like if a person was walking on her toes. It was too dangerous for me to do a pivot transfer to get her to a chair. I had to use the sit to stand machine. When I got her in a chair her neck was extremely tight and she suffered from pain. When I asked her to raise her knees up and down she wasn’t able to. You get the picture, I had to stretch her whole body out and train her husband how to stretch her as well as her caregivers. When I got called to work with her, her body was stiff as a board from head to toe. I tried to get her to stand by standing in front of her and putting my arms under her arm pits. I couldn’t get her to stand at all. I went for a walk after working with her and prayed how I could best help her. When I got home I looked up anti-anxiety medications as muscle relaxants. I saw that the whole family of them are muscle relaxants. I emailed him the information about her medication being a muscle relaxant and suggested him to talk to someone about her getting off of the medication and getting on something natural for her anxiety so she would be able to stop having the side effect of a muscle relaxant. He spoke to her psychopharmacologist and she started right away to get her off of it. She was taking it three times a day for 6 months. As she was getting off of the medication over a week or so period, going from 3 times a day to 2 to 1 time a day to stopping her body began to loosen up. Her muscles decreased significantly in their rigid state. When I tried to get her to stand I was able to start getting her up with a lot of challenges at first. Within a week of her being off of the medication I was able to get her to stand. A week and a half after her stopping the medication I got her to do some squats. I was doing all of this putting my arms under her arm pits and assisting her to get up with a caregiver behind her and her husband helping to straighten her legs. The other day was two weeks off of the medication and now I got her walking and she is able to go through squatting up and down. This was exciting. First time I tried to walk with her I was helping a lot having my arms under her arm pits securely and a caregiver following. Two days later she was walking more fluently initiating the steps better and with less of my support. Her body was going more easily into a standing position. Now, three weeks later she is walking well and isn’t using her sit and stand machine anymore. She is getting up using her own strength when the caregiver guides her up. She just started to walk up and down stairs. She has gone from 24 hour care to 10 1/2 hours a day; significant savings in money and a better feeling of being able to take care of her without a caregiver all of the time. She is also in a lot better spirits. She seems a lot calmer and is sleeping better and feeling more hopeful. I wrote this article to educate and inform health professionals as well as people about the serious side effects of anti-anxiety medications with people who have neurological conditions. The man who I was working with Parkinson’s was walking along great, getting up and down with no problem. He takes an anti-anxiety medication I can barely move him; his body went limp. He doesn’t continue taking the medication and his body goes back to normal. This lady I am working with who has Parkinson’s plus syndrome was living her life walking along, getting up and down traveling with her husband. Then she starts taking anxiety medication and within 5-6 months on it 3 times a day, goes to the extreme of lying in her body barely able to move stiffening up more and more each day losing her ability to barely sit up even with assistance, without the ability to stand or walk. When I started working with her she hadn’t been out of the house in a month. Her and her husband were extremely desperate having to hire caregivers 24 hours a day, using a sit to stand machine while her body was falling apart getting tighter. When I had her sitting up and stretched out her shoulders and her chest, she cried when she was able to lift her arm up and down. She was desperate to be able to stand and was very disappointed and discouraged when that didn’t happen at first. It’s one thing if her body got to this point and she just had to accept this reality. It’s another thing when a person has an extreme side effect from a medication. I have worked many hours with a number of people who have Parkinson’s and have a deep concern for people who take anxiety medication and have Parkinson’s. It doesn’t seem to effect an average person the same way as a person with Parkinson’s or neurological issues. 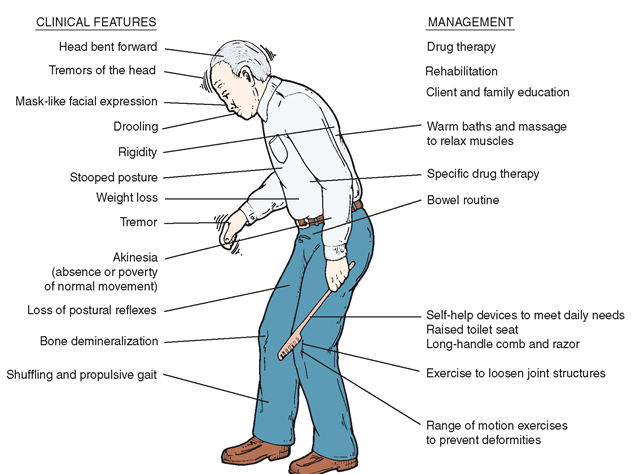 Parkinson’s is a movement disorder, where the person has enough problems without adding a muscle relaxant. I suggest a person finding alternative methods to deal with their anxiety and sleep that won’t risk an effect on their muscles getting negatively effected.